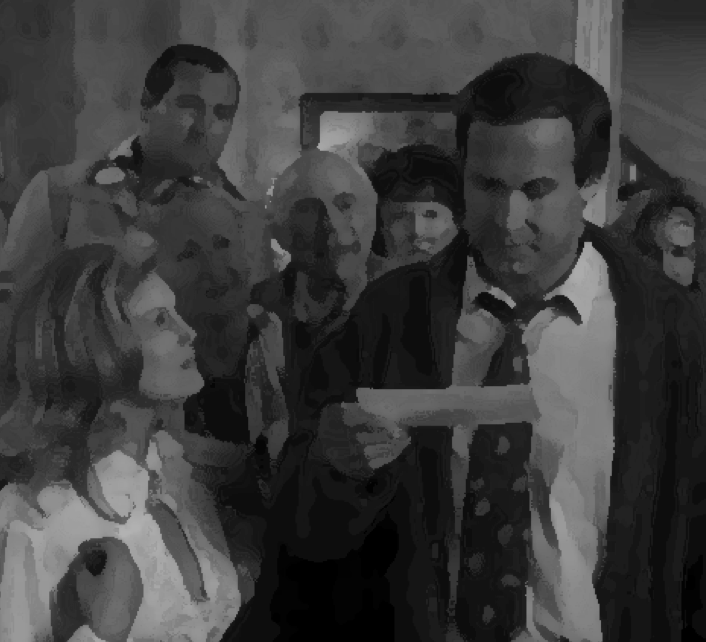 “Clark, that’s the gift that keeps on giving the whole year. Nothing reveals the tin can truthiness of finance quite like the year-end note. Considering it’s been a long December – and year – for most firms, we’d rightly speculate they’re harder to get through than sweet cousin Catherine’s Christmas Eve turkey. Some that we’ve consumed recently go down bitterly with a pinch of sentimental and mind-bottling platitudes on top of a reduced reflection of the year’s less than successful conquests. And while their investor base waits anxiously for a last minute reprisal of a much-needed Christmas bonus – alas, all that appears for now is a tattered envelope informing them of their enrollment in a jelly of the month club next year. 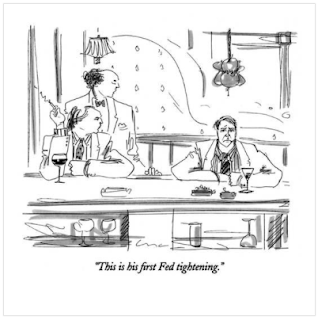 That said – and before we rush to deliver the Frank Shirley’s of the day to our respective doorsteps, we’re reminded that the warning signs have been visible for some time, and certainly well before capital was more foolishly committed over the past year or so. US equity market valuations – as measured by Shiller’s CAPE ratio, have been stretched over the past four years to relative historic extremes, as the tortious-paced economic expansion led the longest bull market in stocks since WWII. Granted, while we admit there’s enough subjective reasoning there to respectively debate the merits and folly of certain analysis or benchmarking, we once again defer to the markets wide-angle lens (see below), which distills for us the scatter of the path from the smoothed patterns of history. 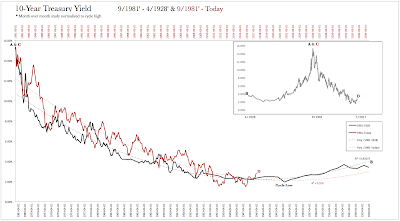 In this respect, we’ve learned – as Shiller has always maintained, that you can’t use CAPE effectively to time the market, unless perhaps your expectations stretch across a much longer time horizon. Although it’s clearly visible to us today, considering the massive (~40 years peak to trough) scale of the backside of the long-term yield cycle – which we’ve argued in the past has proportionally expanded and helped drive the equity market sub-cycles – its very likely lost in translation on most participants. So which touchstones have been useful over the relative short-term (~1 year) to appraise current market conditions? Over the past year or so we’ve viewed the crypto markets parabolic ascent and breakdown as simply a distilled speculative proxy of the broader risk asset cycle, which includes equities. 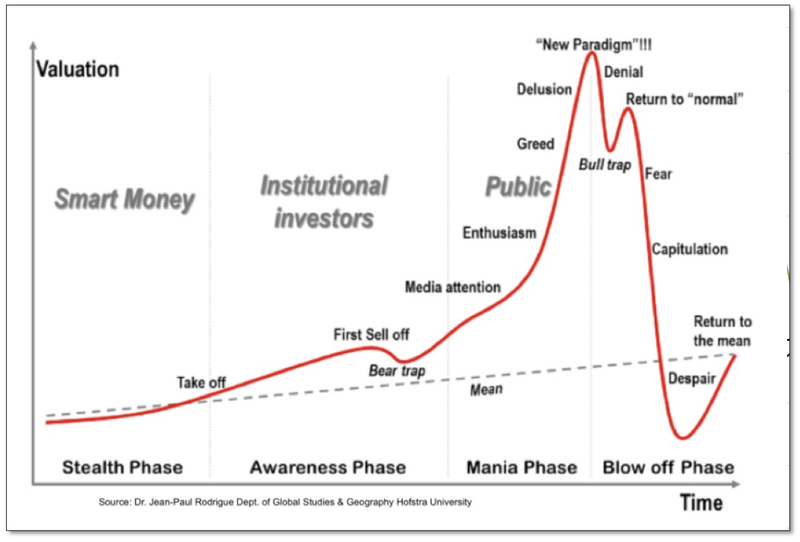 From a behavioral perspective, we’ve argued that Bitcoin personified the late-stage character of reckless speculation that existed beneath the current cycle, with its historic rally and reversal likely serving as a tulip totem of the times. As typical of the leading and higher beta asset for the cycle, the parabolic trend in Bitcoin was the first market to break last December, with the equity markets following suit in January. We’d contend that although some of us rightly saw the crypto markets for what they were last year, it wasn’t until the recent breakdown (i.e. 50 percent off sale) last month that underlying complacently and denial was broadly shattered. Awakening from widespread complacency are tumultuous events; with collateral damages spread far and wide with unknown secondary and tertiary tails. The best most of us can hope for is to not get chopped to pieces in the transition if you apply a more active hand in your investment process. Just don’t tell that to the passive investment gurus who over the past several years have pointed to the long-term uptrend of the S&P, seemingly implying with growing conviction that you’re a fool to not expect the trend to continue upwards indefinitely. Perhaps they should reach out to their Japanese counterparts to see how the past thirty years have worked out for them in stocks, or open their eyes to the realization that the pronounced elongated scale of the current long-term yield cycle still points towards a lower for longer growth and yield environment – likely well into and through the next decade. 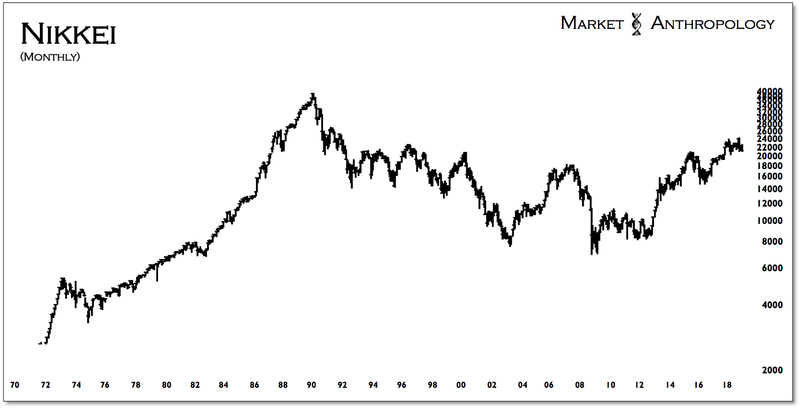 All things considered, this still implies to us an extended period of mean reversion in equity market valuations from the historically lofty extreme they enjoy today. While although many investors become exceedingly nervous with the prospects of a more secular rising rate environment, the truth is it would be a very positive telltale shift in underlying growth, which would accompany the start of the next long-term yield cycle. Considering the maturity of the current economic expansion and Fed tightening cycle, it appears more likely that yields will again retrace back within the lower trough range set over the past decade. Although an oversold rally in equities is likely approaching – with a stick save ever likely by a more docile Fed this afternoon, what should concern equity market bulls is the leading intermarket range break lower in Bitcoin last month, and the fresh downside breakdown below this years lows in the S&P 500 earlier this week. While the Fed decision might spark a Santa rally over the short-term in stocks, we don't believe the character of the market can repair the negative momentum traits on display this year in riskier assets. 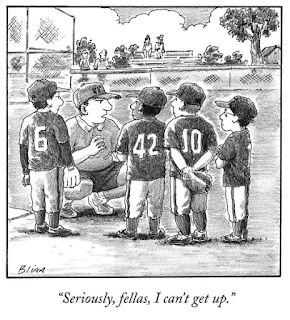 From Cape May to Cooperstown, we’ve been shepherding our boys of summer as they play through the sunset season of their final little league adventure. Following Labor Day, we’ll get back to our more comprehensive and consistent market commentaries. Until then, here’s a few broad-brush portraits of what we’ve been following. Overall, we still suspect equities are taking the long goodbye, very much along the lines of how silver and gold exhausted from their respective parabolic tops in 2011. 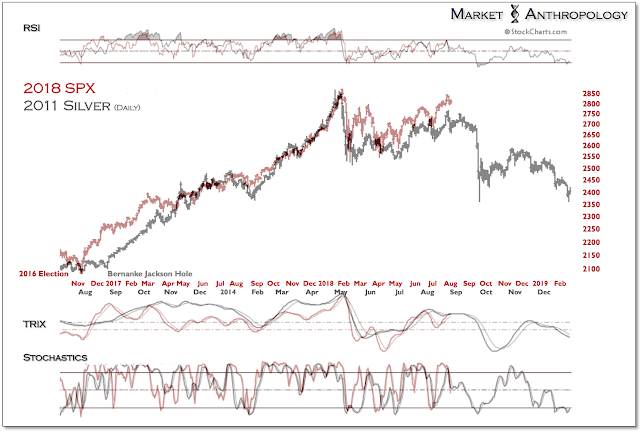 The comparative study with silver that we highlighted this February (chart to the right - read Here) continues to express very similar momentum signatures, with the S&P 500 recently making a secondary high below the cyclical top in January. 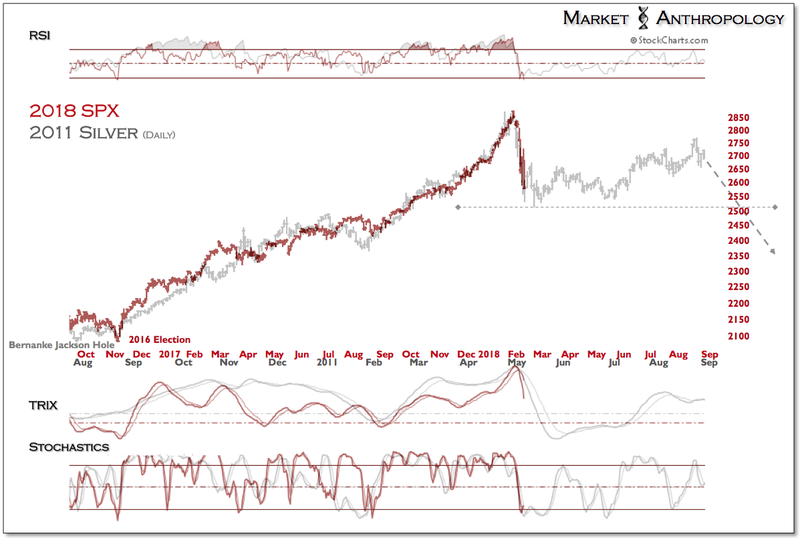 Should the comparative continue to prove prescient, equities are now on the backside of the long retracement rally that began in April. 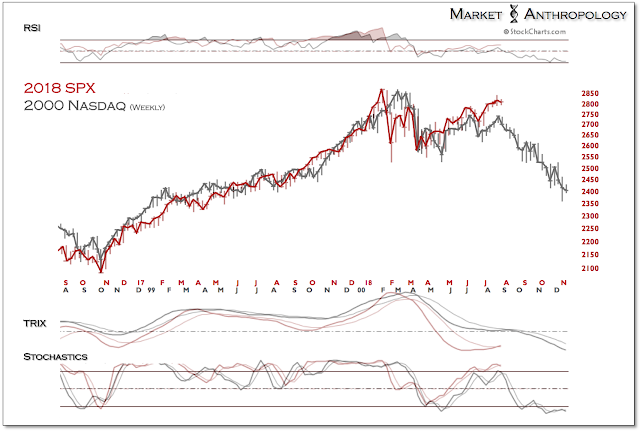 As many of our long-time readers know, in the spring of 2011 we began to contrast the parabolic ascent in the Nasdaq, circa 2000, for a prospective comparative read for silver. 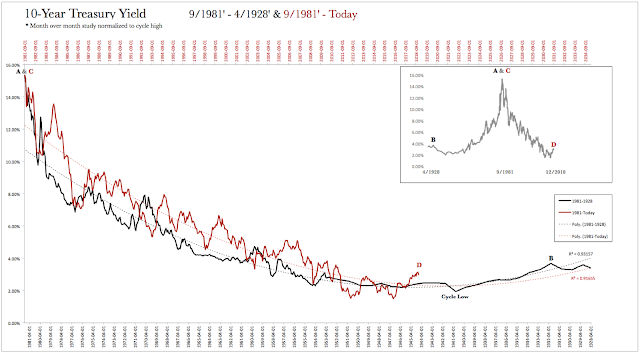 Although silver inevitably carved it’s own distinct path, we incorporated the eventual reversal pattern – as well as the cyclical breakdown in the Nikkei, circa 1990 – as very useful guides over the next several years in delineating the cyclical reversal structures in precious metals. Although equities will again be motivated and propelled by the unique catalysts and current events of the day, we suspect that ultimately, the relative free will expressed in the markets will become subjugated by our repetitive collective behaviors – i.e. greed. As for gold, although it did not again challenge the cycle high around 1370, our suspicions that a lasting breakout was further out on the horizon – after another a retracement decline – appears to have played out on the downside. While we don’t expect gold to break the retracement lows from July, we’ve pushed out our expectations for its breakout move to early next year. That said – and as we described in our previous note, between now and then we expect gold to outperform equities on a relative performance basis. With the June Fed meeting on deck next week, the S&P 500 (SPX) is making another attempt at taking out the secondary highs from early March and recapturing some of the upside momentum lost this year. 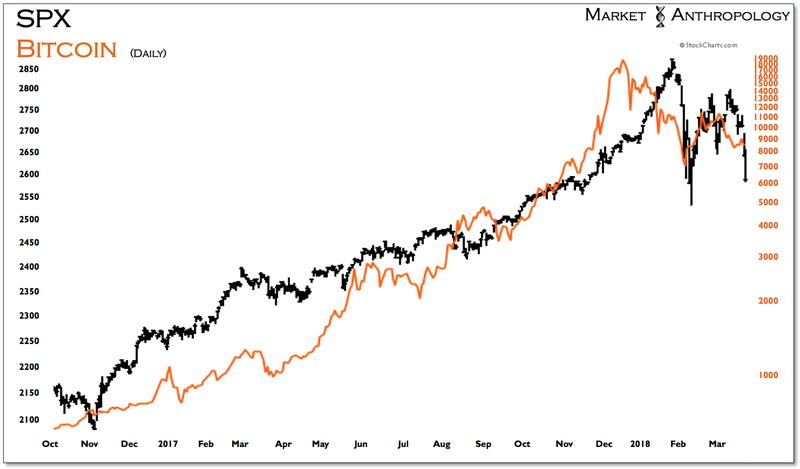 Although higher beta equity indexes like the Russell 2000 and Nasdaq Composite have already made successively higher highs, we primarily focus on the S&P 500 as it is the most widespread followed and broad based measure for US stocks. 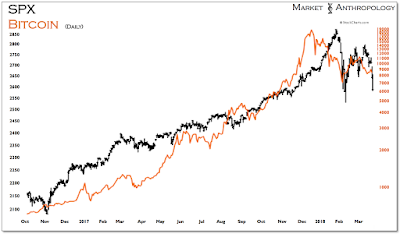 From our perspective – and despite the S&P trading only a percentage point off the intraday highs from early March, we believe downside risks over both the near and intermediate-term still far outweigh the potential upside and maintain the view that the parabolic breakdown that began in January should be patiently respected. 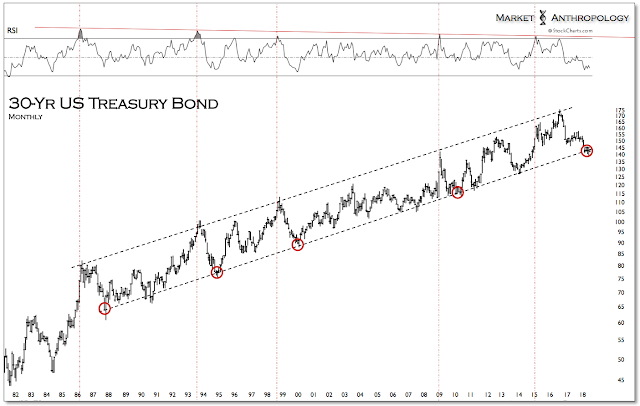 As we highlighted in our last note, we are following the previous breakdowns in long-term Treasuries (2016) and the US dollar index (2017) as a potential leading and successive pattern that is now playing out in equities. Should the pattern continue to replicate, stocks would again be rejected below previous highs, eventually manifesting with a breakdown leg below previous support from April and February of this year. Moreover, in the current cycle for risky assets, highly speculative cryptocurrencies like Bitcoin have led the two previous reversals in the S&P this year by several weeks. With Bitcoin rolling over in early May below its previous secondary highs, it now appears poised to challenge downside support below 7000. Coming into the Fed meeting next week, gold appears set to again follow the more typical trading pattern of rallying subsequent to the Fed decision, by again challenging the previous cycle highs around 1370. 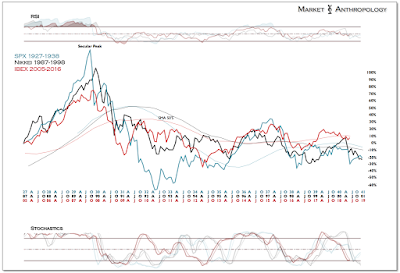 Although we expect gold on a relative performance basis to outperform equities over both an intermediate and long-term timeframe, we increasingly have become less confident this year that gold itself will have the beneficial macro backdrop of declining real yields and a staunchly weaker dollar to materially breakout above its previous highs. 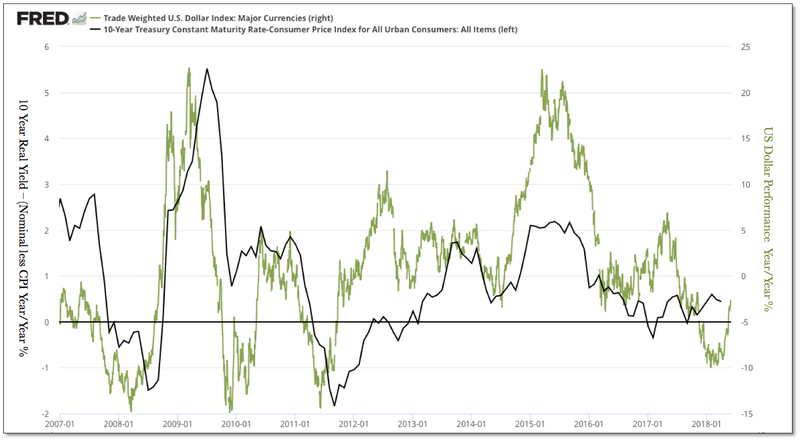 While the upcoming inflation reports for last month may still be supported by the weak performance of the dollar through Q1, the now synchronized global slowdown and recent rally in the dollar should manifest with weaker inflation data later this year. 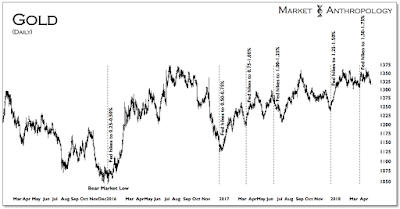 All things considered – and as we described in our two previous notes, although it wouldn't surprise us to see a new cycle high for gold in the coming weeks, we are more inclined to hedge long-term positions rather than capture a potential breakout. We would reassess this defensive posture with a weekly close above 1400. 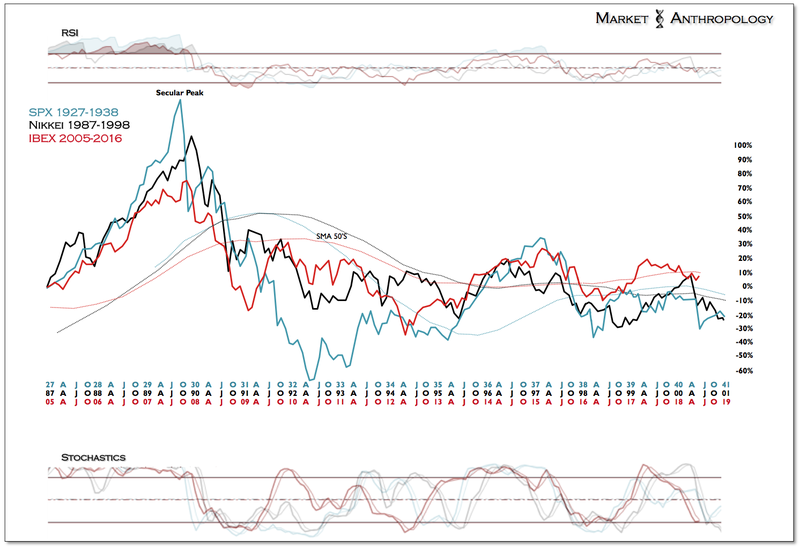 What we may be looking at is a market environment somewhat similar to the back half of 2000, where subsequent to the final Fed rate hike that cycle, gold rallied for a few weeks – before turning down with stocks later that summer. 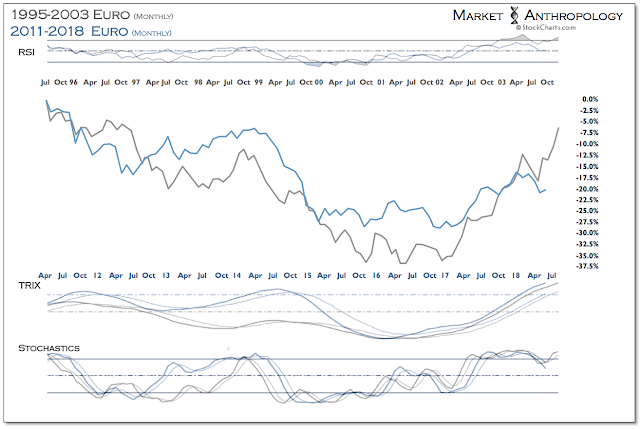 It was only after stocks were rejected in August below the previous highs from March that gold on a relative performance basis began to outperform. Naturally, the performance of the US dollar is a significant contributing factor towards the direction of real yields and hard assets like gold and commodities. 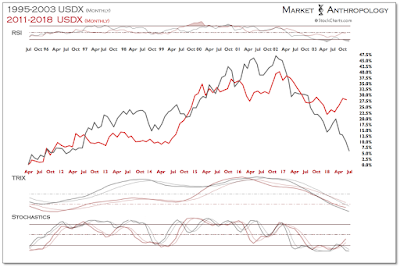 While we don't expect to see new cycle highs for the US dollar index, the divergence in the comparative performance with the previous cycle (2003) appears more likely to persist. Moreover, should the recent political convulsions in Italy and Spain continue to disrupt European stability – or if markets see further deterioration in european growth this year – support for the euro from the ECB's telegraphed intentions on winding down it's nearly $3 trillion quantitative easing program later this year would evaporate quickly. That said, with the ECB also convening their June meeting next Thursday, we would expect Draghi to shun any proactive dovish leanings and don a cool placid tie and his best face of confidence in maintaining the ECB's conviction in winding down the bond buying program sooner than later. 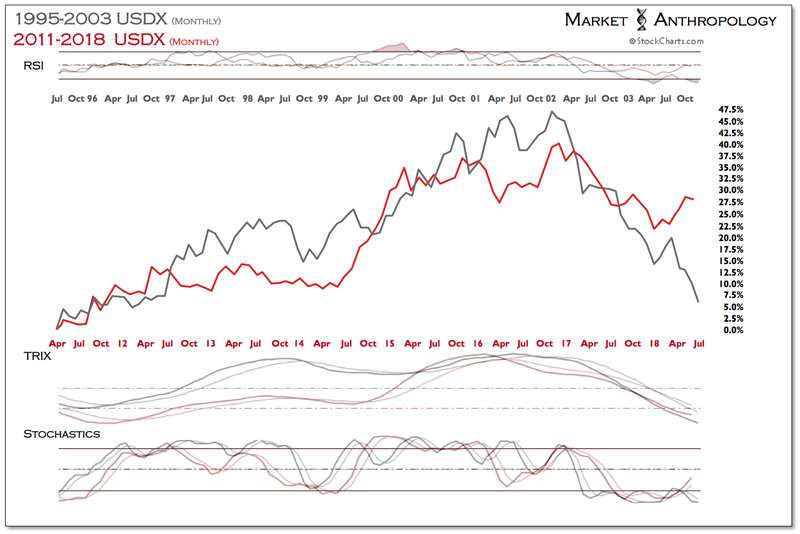 Over the near-term this should support the euro and pressure the dollar index – creating a tailwind for gold as well. 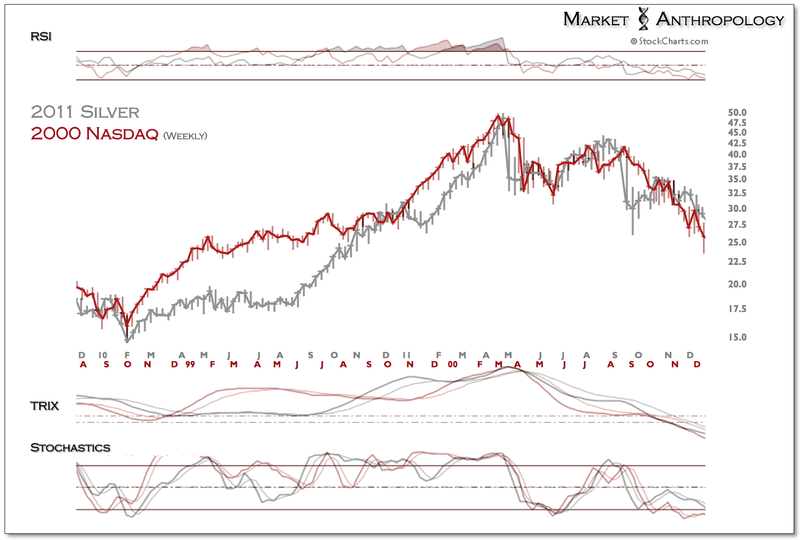 From a wider perspective we continue to follow Spain's IBEX as our higher beta and leading proxy for Europe. The long-term comparative performance chart that we've highlighted of the IBEX over the past five years has continued to loosely track two of the largest and longest perennial asset unwinds of the previous century. 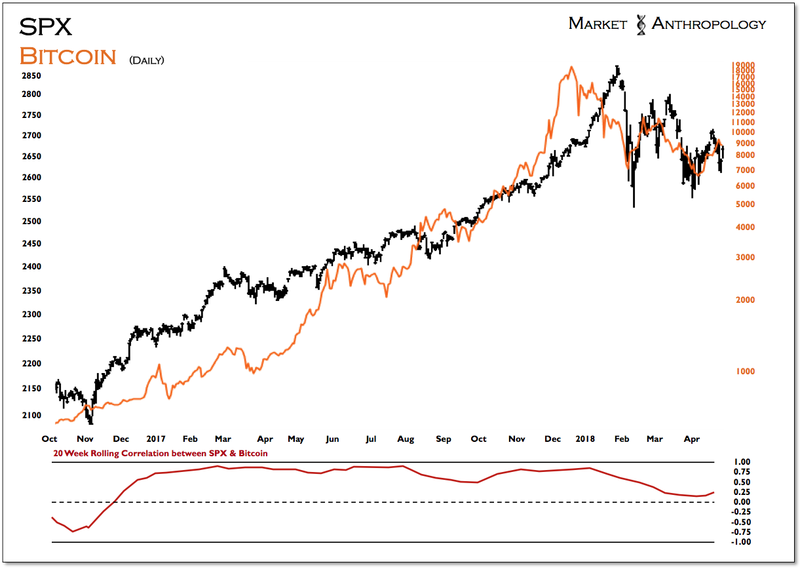 Should the comparative continue to prove prescient, the downturn in Spain's IBEX – that led the broader reversals in European equities this year, has considerable road to travel on the downside over the next two years. In this respect, we'd speculate it would naturally become progressively more challenging for Draghi and the ECB to find the same relative strength across a diverse European economy and within a disparate political system, then what the Fed encountered in their own tightening cycle over the past few years. Consequently – and despite what the conventional wisdom is again predicting with a continuation of higher rates, Treasuries continue to look robustly appealing from a near and intermediate-term timeframe – as well as from a fundamental, technical and behavioral point-of-view. Found the nugget below waiting for me when I checked in on Twitter last week (red highlight his own). 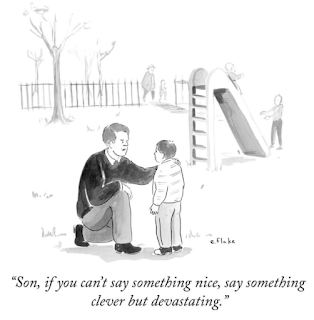 Granted, with the degree of contemporaneous thoughts now swirling freely around social media, it doesn’t take much to see a variety of outlooks contrary to your own. In many ways, this is the greatest value of the medium to traders – both from a behavioral point-of-view, as well as keeping abreast to a wide range of perspectives and insights potentially variant to your own thinking or market posture. Variant indeed, as Tom Lee – who gained notoriety as a strategist for JP Morgan in the early part of the decade by rightfully remaining uber-bullish towards stocks through a variety of headwinds, now expects his long-term love affair with Bitcoin to weather this year’s turbulence as well. 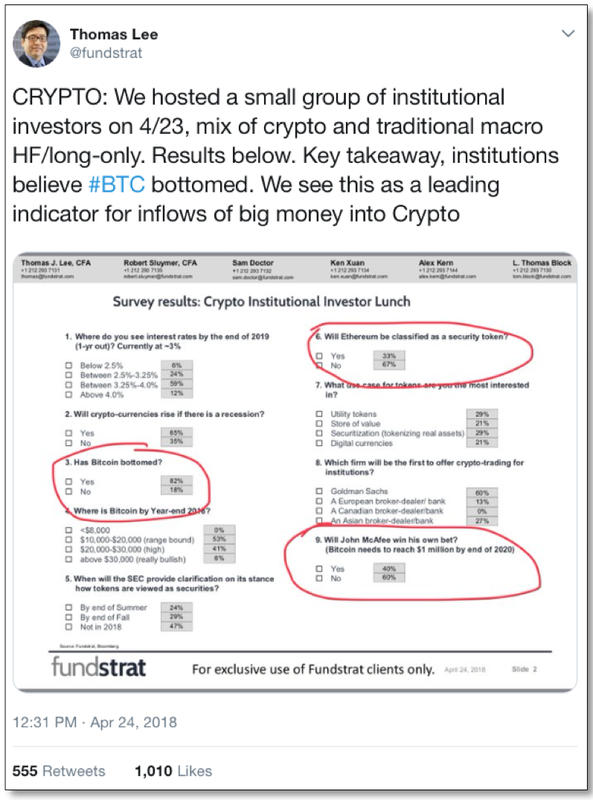 Taking his cue from “a small group of institutional investors” last week, Lee sees conditions developing where the strong hands of institutional demand resurrects the crypto markets from the smoldering ashes of largely retail speculators parabolic breakdown. Ignoring the fact that he appears to have the flow chart backwards – where institutional money typically sells the bag to retail investors right before the bottom falls out, the survey results capture the blind optimism that Lee has largely built his reputation on. Has Bitcoin bottomed? Four-to-one say yes. Will Bitcoin close the year higher than where it is today? Unanimously certain. Will crypto-currencies rise even if there is a recession? Two-to-one say yes. And my own personal favorite – will John McAfee win his notorious bet? For those unfamiliar with McAfee’s cringing embrace of the virtues of Bitcoin, or his revolting wager that Bitcoin reaches $1 million by 2020, less he consume his manhood… Forty percent of Lee’s survey also agrees. Sure, why not. What’s another 110 fold from here – it did it over the past two years. We’ve commented in previous notes that from our perspective we view Bitcoin as nothing more than a distilled and supercharged speculative vehicle of the current asset market cycle. And while traders have ballooned the market caps of various cryptocurrencies over the past year, ultimately, their intrinsic value is still very much up for debate. Consequently, one could argue the risk is largely indefinite, hence the unprecedented risk/reward characteristics the markets have displayed. 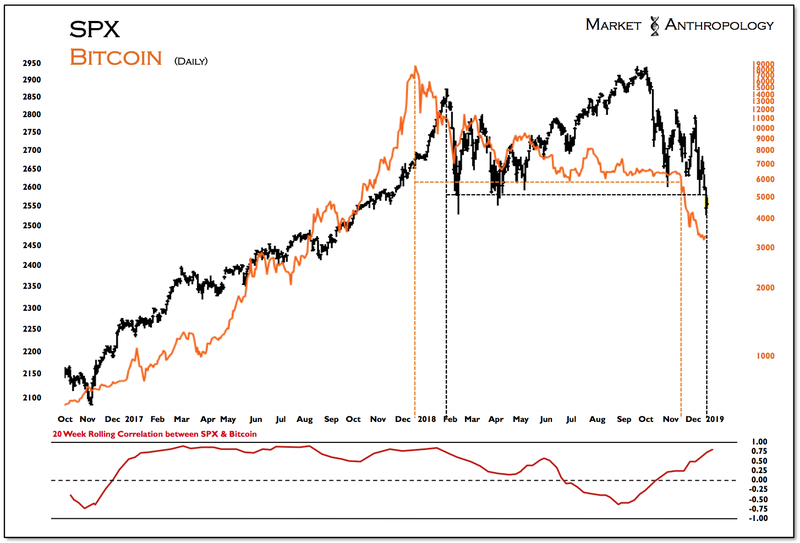 From a behavioral perspective, we view the crypto markets as simply the higher beta proxies for riskier assets like equities, as Bitcoin expressed a strengthening positive correlation (+.90 weekly) with the S&P 500 over the past year and into their respective cyclical highs. Although the long-term intermarket relationships between stocks and Bitcoin is largely unknown at this point, our best educated guess would be they will continue to trend together over an intermediate timeframe – through good times and bad. Speaking of which, both markets currently remain in limbo, caught between either a resumption of upside momentum or a breakdown below the previous lows. 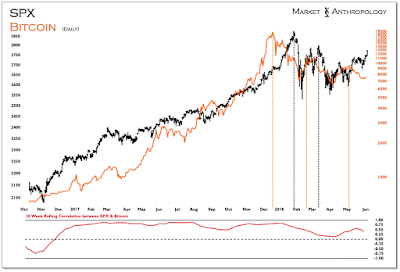 We remain firmly in the camp that has viewed the sequential parabolic breakdowns in both markets as a culmination of riskier assets final exhaustion trend. Keeping it simple, we reiterate our thoughts from earlier this year (see Here). 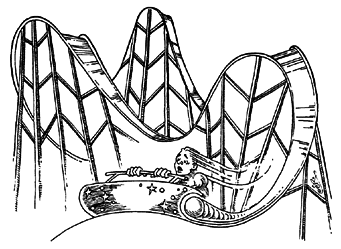 "This is largely because of the inherent nature of parabolic trends, in that once the spell of a buying mania has broken, the unbridled chase that had carried the market without pause beyond more typical expectations, can not rekindle the same degree of momentum required to reestablish the uptrend. 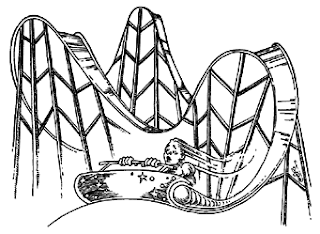 Eventually, through the markets subsequent failures to reestablish upside momentum with higher-highs, larger and more sophisticated capital looses trust and sells, thus reinforcing the markets now negative trading dynamics." Along these lines, we’d argue that equity bulls had an opportunity with a V-shaped low in February to reestablish the bullish character within the equity markets headed into this year. 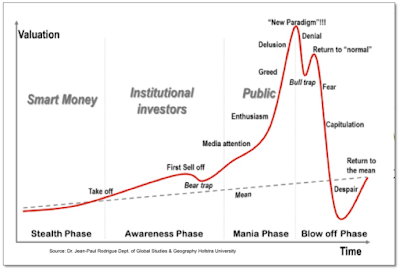 As mentioned above, with each successively lower high, underlying market psychology becomes at risk of transitioning from a “return to normal” mentality – to fear. Technically speaking, we’d speculate that this shift would be achieved once the previous lows from February and April were broken. 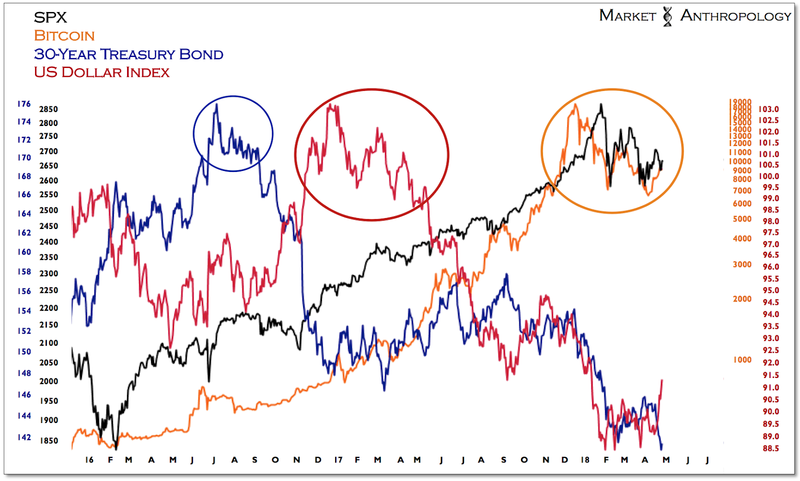 What’s interesting to note, is that from an intermarket perspective, both long-term Treasuries (2016) and the US dollar index (2017) broke down from their respective cyclical highs in similar fashion. 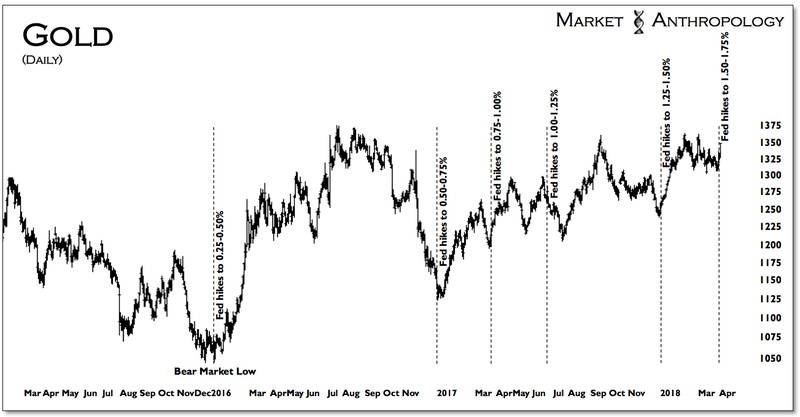 Last year we had used the pattern in bonds from 2016 as a leading guide for what we anticipated would be a cyclical breakdown in the dollar in 2017 (see Here). Similar to the descending triangle pattern in bonds that broke down in the fall of 2016, the dollar continued to make successively lower highs until the market succumbed below previous lows with a larger retracement move last spring. 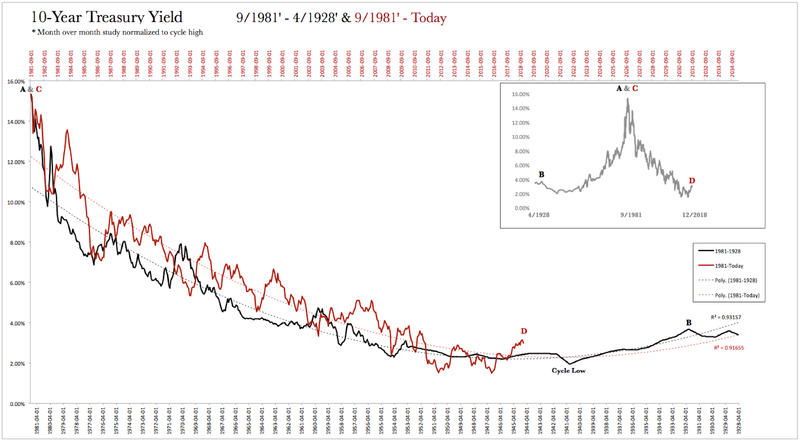 Should riskier assets like Bitcoin and equities continue to follow the two previous cyclical pivots in long-term Treasuries and the US dollar, it would be a remarkable sequence of underlying market psychology replicating similar behavioral patterns across the very largest asset classes in the world. While cryptocurrencies comprise a small fraction when compared to the size of other asset classes, we feel the relevance of their historic performance chase and breakdown at the pole position of the current asset cycle is significant. 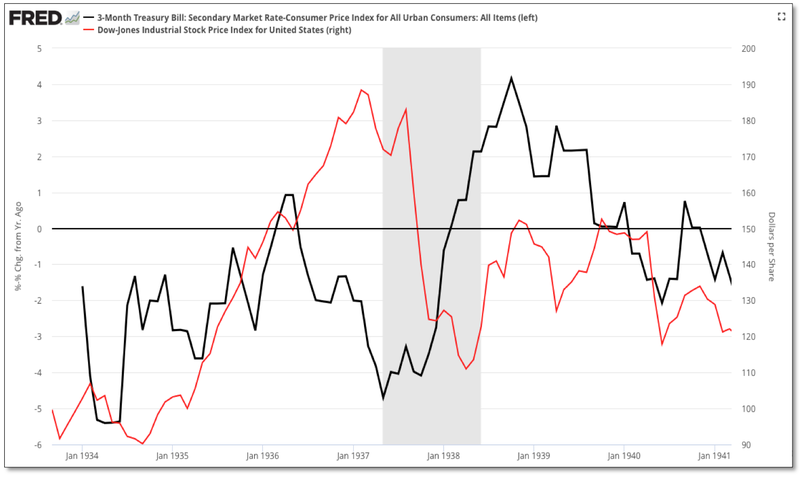 Moreover, we’d speculate it’s suggestive of a more broader underlying market psychology that has transitioned through the late-stage manic and delusional phase towards a Minsky moment of sorts. The relative absence of fundamental underpinnings that typically serve as touchstone catalysts should concern Bitcoin bulls – and by extension those that trade riskier assets like stocks, as the market has displayed diminishing momentum traits with successively lower highs from the parabolic blow-off top last year. Taking a quick peak around at other markets, we’re drawn to the set-ups in long-term Treasuries that remain flirting around long-term trend line support. As mentioned in previous notes, we’ve viewed both the 30-year Treasury bond within this technical window – as well as the 10-year yield up around 3 percent, as a bullish tactical opportunity to buy long-term Treasuries. Considering speculators have accumulated their largest short positions in history, the market is also attractive from a traditional contrarian perspective. 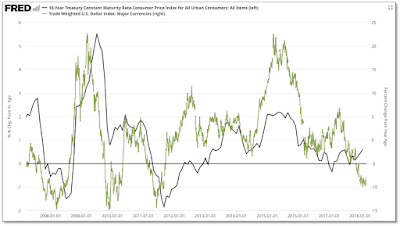 Connecting the dots to what this might imply about underlying macro conditions, it supports our suspicions highlighted in last months note (see Here) that inflationary pressures may have reached an interim high and expectations towards the threat of more pernicious price conditions now offsides. Our suggestions from last month stands to watch for gold to trade around its previous cycle high without a strong and lasting continuation – for further indication of a potential shift in inflationary pressures and a further extension of gold’s consolidation range. 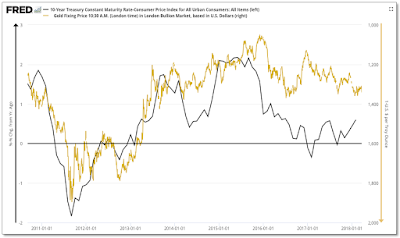 Moreover, the silver:gold ratio continues to languish, which in the past has indicated diminishing inflationary pressures, as shown below by the overlay with the Fed’s preferred benchmark of core PCE. We are also following the US dollar index relative to the silver:gold ratio, which have been trending lower together over the past year. What’s interesting to note is the dollar has followed downside trend line breaks in the silver:gold ratio by several weeks over the past year, with the ratio again reversing sharply lower last week. 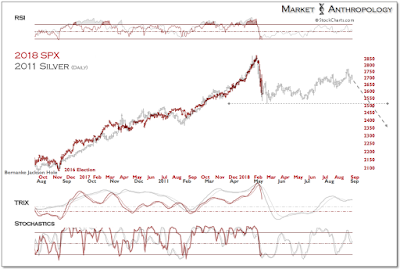 Consequently, should the dollar follow the ratio lower over the near-term, we would expect gold to once again challenge its upside range this year. That being said, and for what it’s worth… this uncertainly is more typically the case when strategists contemplate late-cycle market dynamics – and likely even more so today in the wake of less conventional monetary and fiscal policy approaches that have clearly muddled future growth and inflation expectations over the past decade. 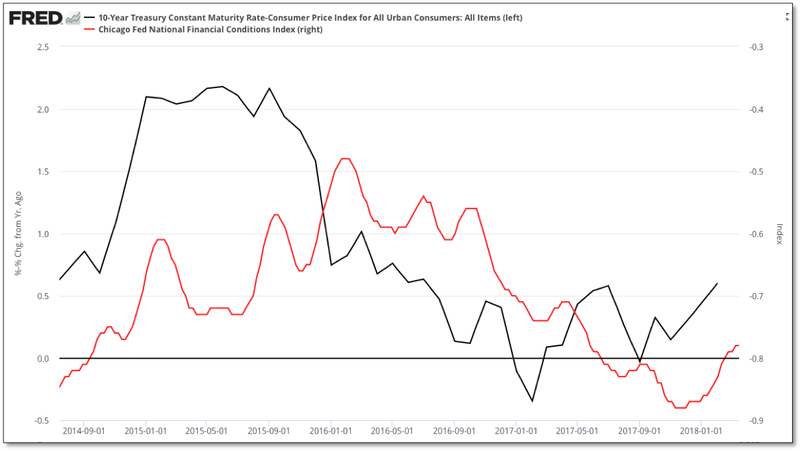 What I’m struggling with presently, is in light of the most recent and once again tepid inflation data through February, the reality remains that for all of their extraordinary efforts, central banks worldwide have had relatively marginal influence on raising inflation and real growth. This truth is becoming harder to disregard with each passing monthly report, because despite a US economy operating at or beyond full employment – and within a mature and now synchronized global expansion, inflationary pressures have yet to materially surprise to the upside. 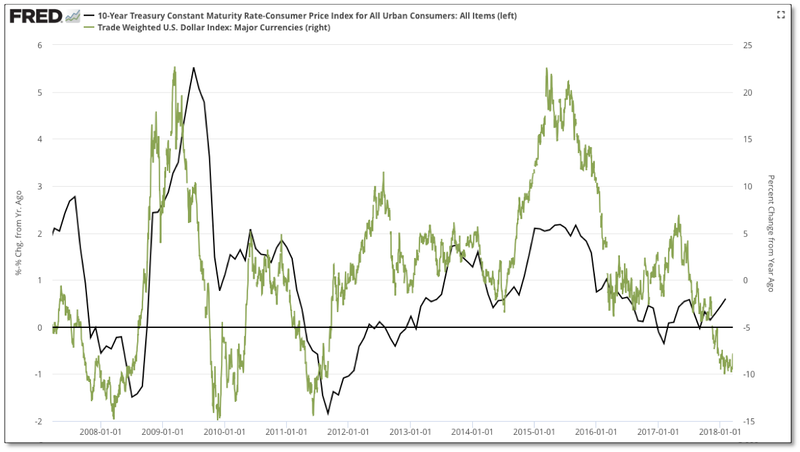 Although markets became turbulent in February as attention turned to rates and the long-end of the curve, real yields also rose swiftly as growth and inflation expectations underwhelmed and were outstripped by nominal yields. Historically, real yields typically tend to rise with equities as growth expectations improve in the economy. While admittedly the window for interpretation is quite narrow and opaque, one could make the case that the opposite might be playing out today. 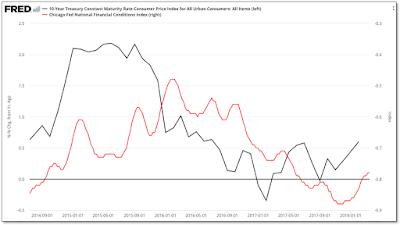 In fact, when we look back at the past two years where the Fed has moved off of ZIRP and away from the extraordinary policy accommodations extended after the global financial crisis, real yields and benchmarks of underlying financial conditions have broadly declined even as the Fed has raised rates – arguably, because inflation and growth expectations rose more. Whether this was more or less a transient psychological boost away from the crisis policy stance maintained in the markets, rather than a material structural improvement in the economy – will be left to the historians and future noble laureates to debate and wrestle over in the decades to come. What’s concerning today as investors, however, is what this market dynamic might imply about the underlying health of the economy and the Fed’s resolute focus on maintaining future rate hike expectations this year and over the long run, despite the reality of underwhelming inflation and growth conditions. Moreover, considering the President’s recent tack towards more partisan economic advisors – like Larry Kudlow and David Malpass, the fantasy of higher growth expectations in an already mature and likely waning expansion becomes a dangerous strategy to double-down on. While anyone that works within and around finance will be mistaken regularly by the relative uncertainly of markets and forecasts, both of these economists have found themselves pushing policy initiatives and perspectives on the wrong side of history on more than a few pivotal occasions. We expect Kudlow’s latest outlook of 4 to 5 percent growth, and that – “We’re on the front end of the biggest investment boom in probably 30 to 40 years”, to have the same accuracy as his late-cycle predictions in 2007 and 2008. While I’m certain Kudlow and Malpass could benefit from more than a little reflection and consideration on why their perspectives on the economy and markets have been so consistently misplaced, we ourselves are now considering the idea that inflation might continue to underwhelm and how that might affect our market outlook and investment posture going forward. 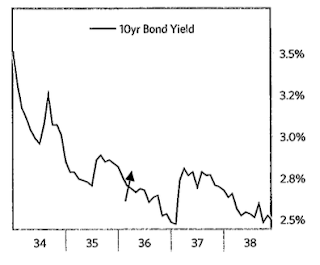 To be honest, our long-standing belief that nominal yields would continue to remain historically low over the long-term and across the transitional divide of the yield and growth supercycle – is more consistent with the current conundrum of relatively lackluster inflation and growth conditions, despite a mature economic expansion with historically low unemployment. 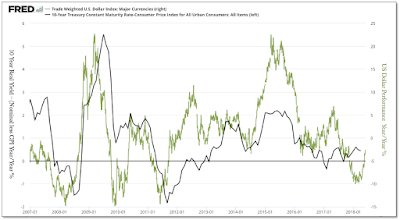 The idea that a late cycle pulse of inflation could surprise to the upside was in part derived from our expectations with the US dollar and real yields, which did in fact roll over from their respective cyclical highs. 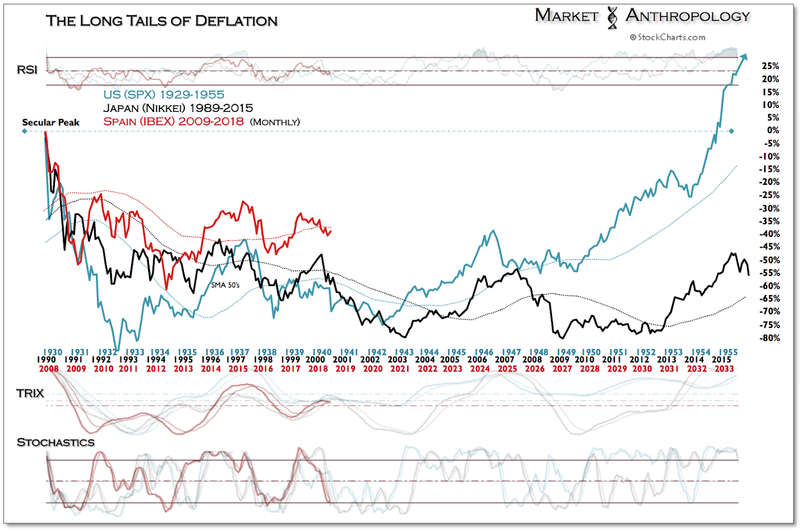 In short, we’ve speculated that the dollar breakdown could precipitate a downstream condition where the reach of inflation outstrips growth, creating a tailwind for hard assets like gold that typically gain in a declining real yield market environment. With strong consideration to the most recent inflation data and trends – both domestically and abroad, we’re open to the idea that inflationary pressures may have run their course – for now. 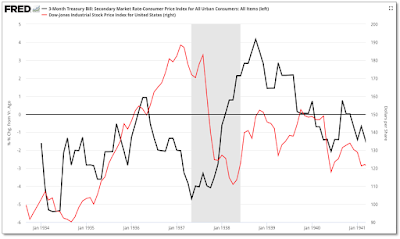 From a historic comparative perspective, we’ve viewed the current market environment against the template of the mid-1940’s, where a teflon equity market cycle greatly supported by the Fed and Treasury was eventually destabilized by less accommodative policy and surging inflation. Although it’s too early to determine which way – or under which economic and market conditions real yields trend over the next year, it’s worth reevaluating the 1937 analog that has been batted around by many over the past several years as a possible period to consider for prospective insights. Besides the more typical parallels drawn between the two major post boom and bust periods (e.g. 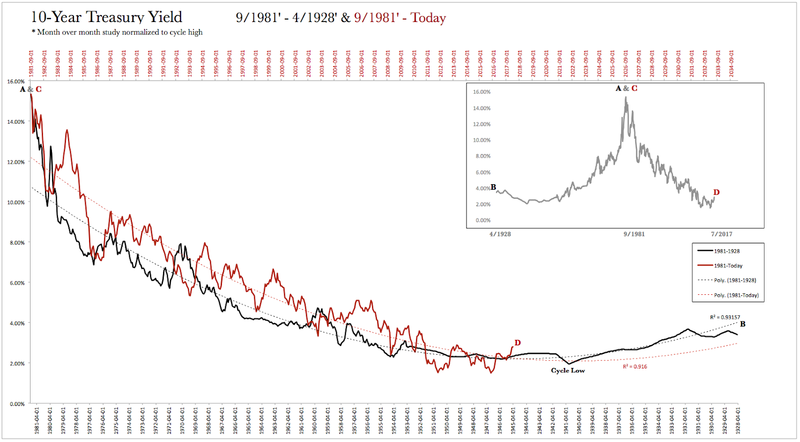 ZIRP and QE – see Ray Dalio's comprehensive read from 2015), what’s interesting to note is when you look back at the mid 1930’s you find that real yields also moved lower – perhaps under the persuasion of a similar psychological boost – as the Fed began to tighten in the summer of 1936. 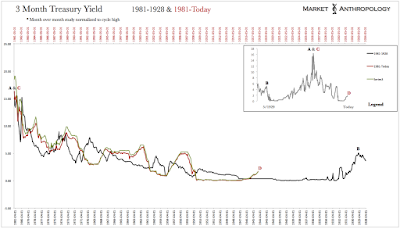 Following the second increase in reserves in March 1937, both short and long-term yields spiked. It wasn’t until the Fed tightened a third and final time in May 1937 that real yields began to trend higher, finally upsetting the ebullient swell in risky assets that had driven equities up 300 percent from the crisis lows of 1932. Admittedly, I panned the comparison over the past several years, predominantly because I viewed the markets further out on the long-term yield trough, and where equity market valuations (as defined by CAPE) were also downstream and beneath the secondary highs in 2007. In hindsight – and if history continues to resonate a certain cyclical pattern and rhythm, this perspective didn’t take into account the expanded proportions of the current long-term yield/growth cycle, that as I’ve described in past notes appears to influence a relatively proportional expansion of cyclical moves in CAPE. 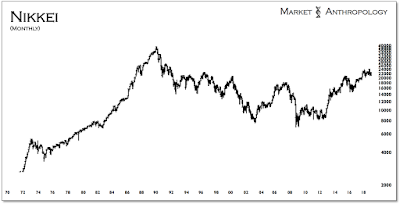 For example, the previous long-term cycle (as measured trough to trough – annually) stretched 40 years, with estimates of a symmetrical retracement decline of the current cycle stretching over two times that span. Considering the fact that every long-term cycle has trended below the previous over the past several hundred years, it’s not a stretch to believe the current span could extend even greater than twofold as long. 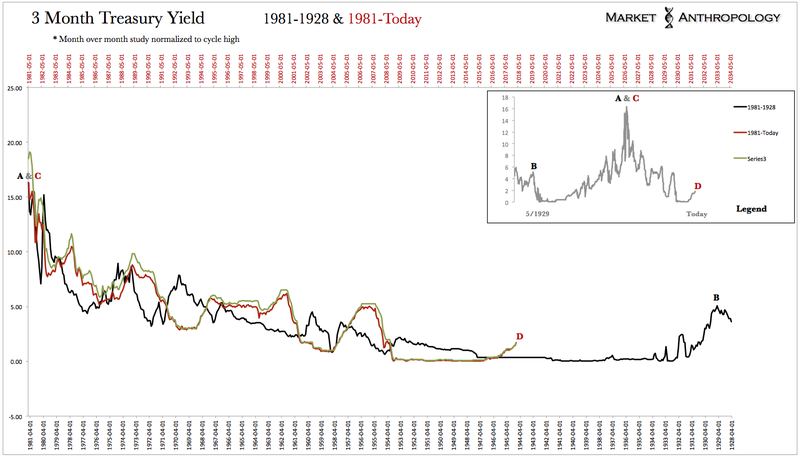 Furthermore, the move in CAPE from its secular trough in 1982 – which also corresponded with the secular high in yields – to its secular peak in 2000, is 2.25 times the span of the previous cycle between 1921 and 1929. Applying this ratio to the span of the previous cycle between the secular valuation high in 1929 and the secondary high in 1937 (8x2.25), brings us to a secondary high in 2018 – as measured January 1st of each year. Granted, there is always a real risk of attempting to solve a puzzle that may not exist or be deciphered; we predominantly apply this kind of long-term comparative reasoning as a orienting backdrop for contrast and color against current market conditions. At the end of the day we still strongly believe in the inherent behavioral nature that markets cyclically express themselves as, and typically find greater utility than folly in filtering our thoughts through the wide-angle prism of history. 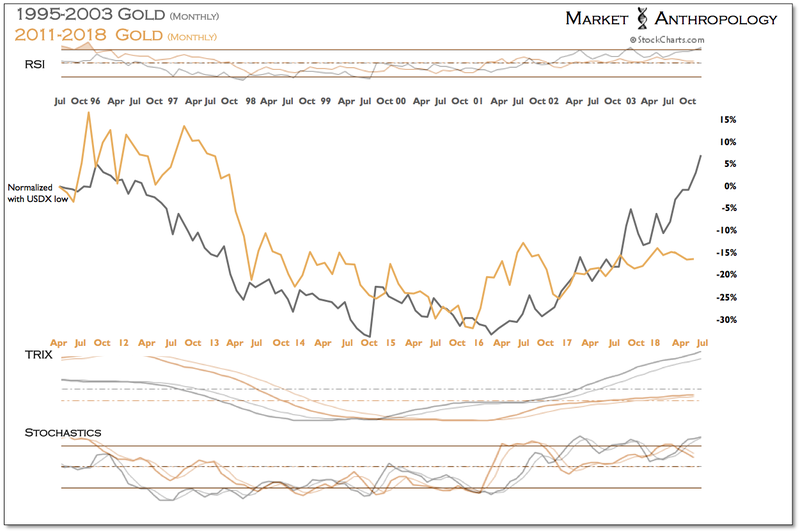 So, for what it’s worth… Despite our concerns with a shift higher in real yields, over the short-term we still expect gold to be under the dollar’s persuasion, which technically appears set for new lows. 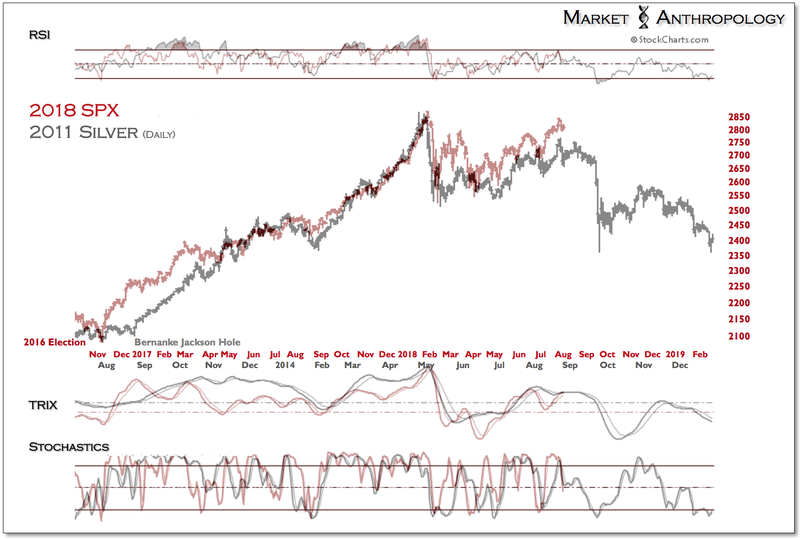 As we described in our note last month, we would be looking for a positive divergence in momentum from the US dollar index’s February low as suggestion that a more durable interim low is possibly in play. Consequently, we are looking for gold to once again test its cycle highs – as it has rallied to varying degrees several weeks out after each of the previous five rate hikes. 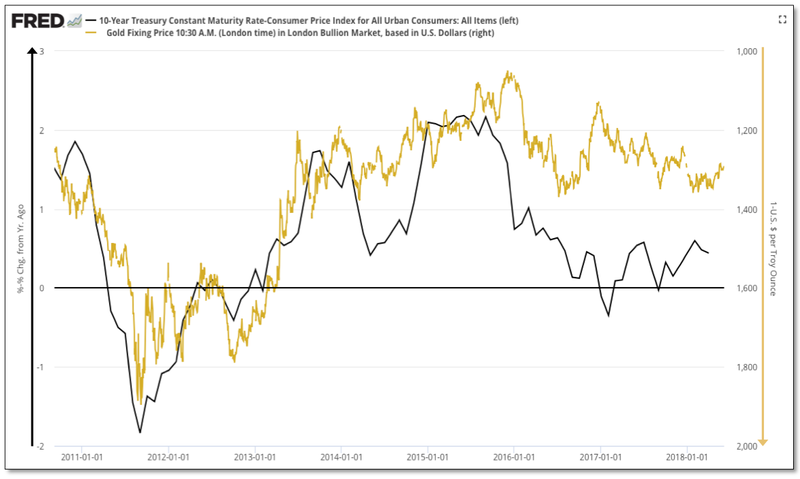 Should our concern that inflationary pressures are easing and that real yields have more room to move higher over an intermediate-term timeframe, we suspect gold to trade only marginally around the July 2016 highs, with likely greater volatility developing before a more lasting retracement decline would begin. In this respect, it wouldn’t surprise us to see gold trade in a widening range between 1400-1300 over the next several weeks. That said, should these concerns be misplaced, we will be looking for gold to rally staunchly above the previous highs and not look back. Additionally, we would also like to again see silver begin to outperform gold, as it typically has under greater inflationary pressures. What’s interesting to note is that since the dollar’s breakdown over the past year, the silver:gold ratio has trended lower with the dollar, very much displaying the opposite dynamic of what was found between 2010 and 2011, where the dollar was plumbing the trough of its long-term range and silver cresting at a cyclical high. All things considered, we will be closing watching how precious metals behave over the next several weeks for greater intermarket insights. 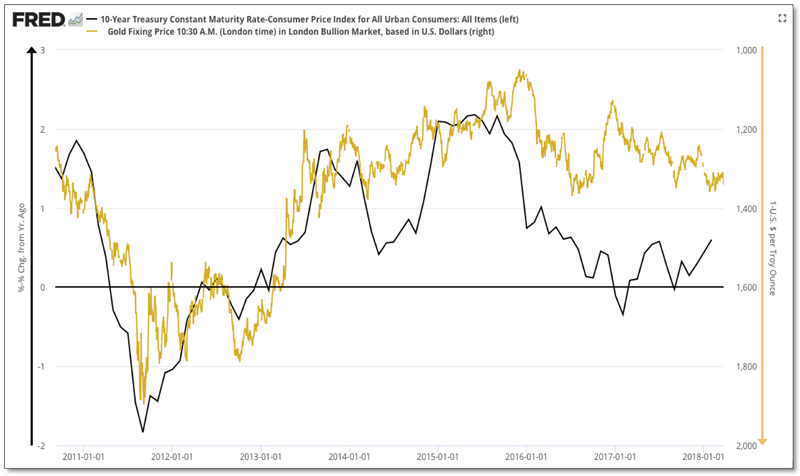 Generally speaking, our newfound concerns with the direction of real yields and the markets perhaps more juvenile disposition within the long-term yield trough, does not greatly influence our relative performance expectations across most markets. 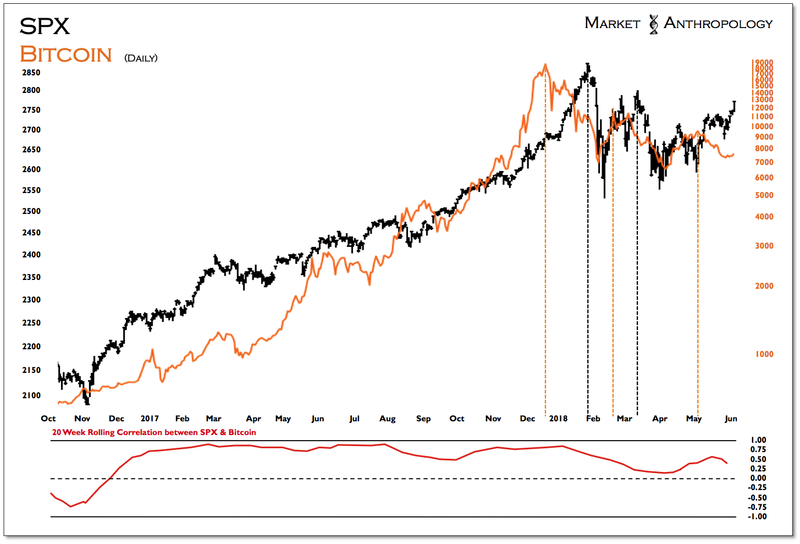 It predominantly impacts our absolute performance outlooks within an intermediate-term timeframe, specifically with respect towards gold and the US dollar. We see no reason to become more bullish on equities here and still believe the parabolic breakdown will be respected, with lower lows and lower highs throughout this year. 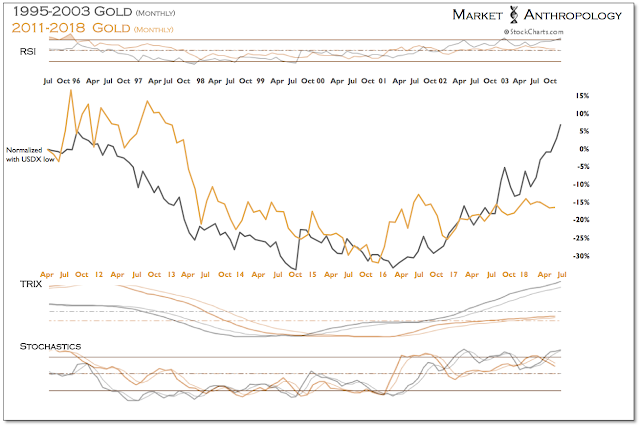 If anything, we’re leaning more bearish on an absolute performance basis towards equities – more bullish on long-term Treasuries, and still believe gold will strongly outperform equities across both intermediate and long-term timeframes.